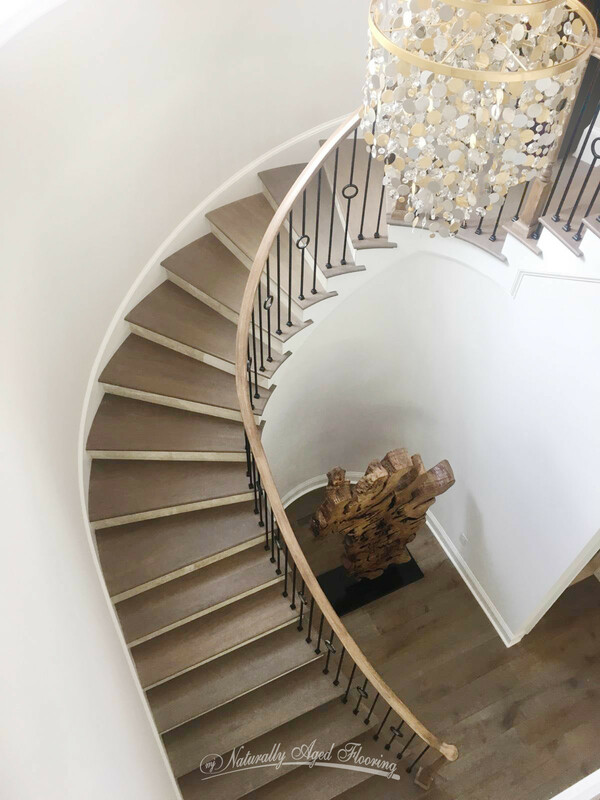 Inspired by its namesake’s inviting beaches and beautiful hillsides, La Jolla hardwood flooring, stands reminiscent of pioneering through the scenic coastal bluffs of Southern California. 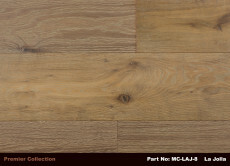 With La Jolla, Naturally Aged Flooring brings another great wood design into its renowned wide-plank Premier Collection. Softly highlighted grain patterns lay embedded into a lightly tanned wood, bringing to mind the dusty trails which wind over cinematic vistas overlooking the great Pacific Ocean. 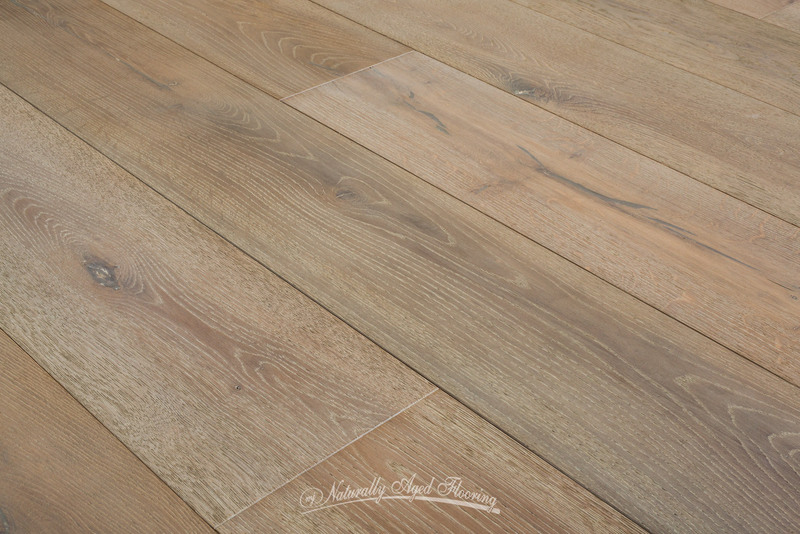 As enchanting as it is enticing, La Jolla’s wide 8-3/4” boards are each individually wire-brushed. 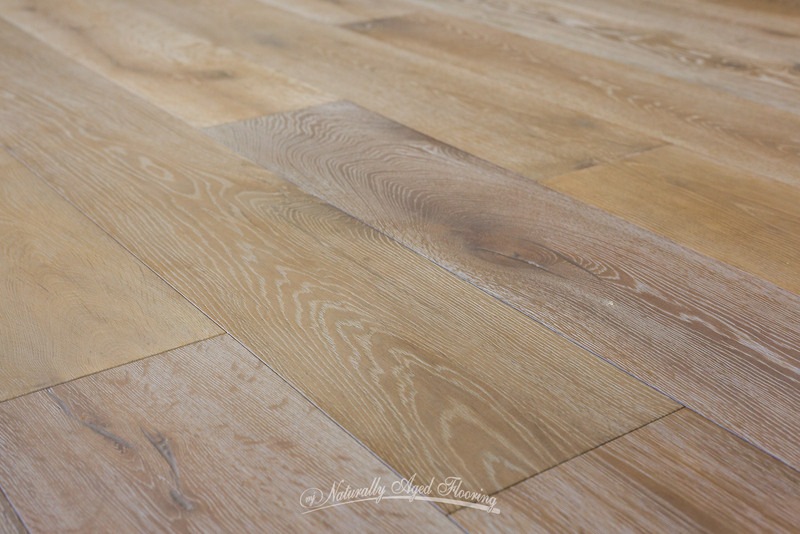 Dark, caramel brown fillers even-out the natural oak knots and clefts adding to the character and charm of this inspired wood floor. 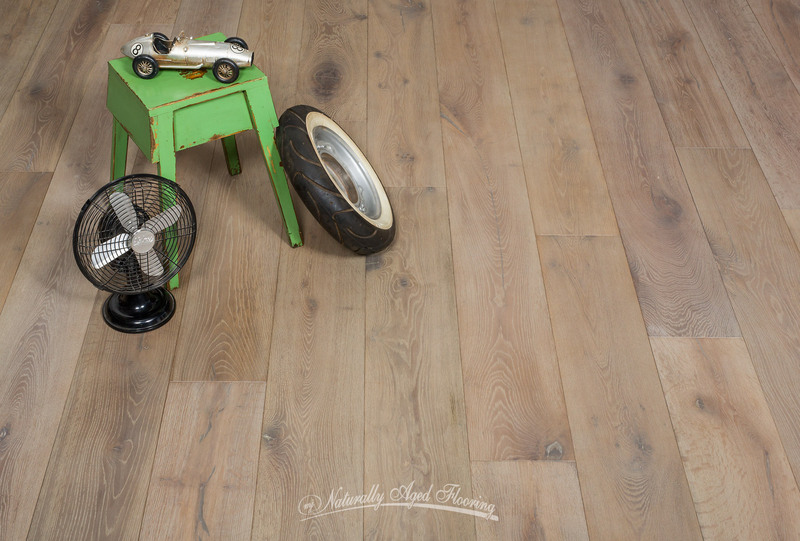 The distinctive, flowing design characteristic of white oak wends smoothly across your floor as if swept by the wind and gently set in place, hinting to your family and friends of your discriminating taste and appreciation of nature. 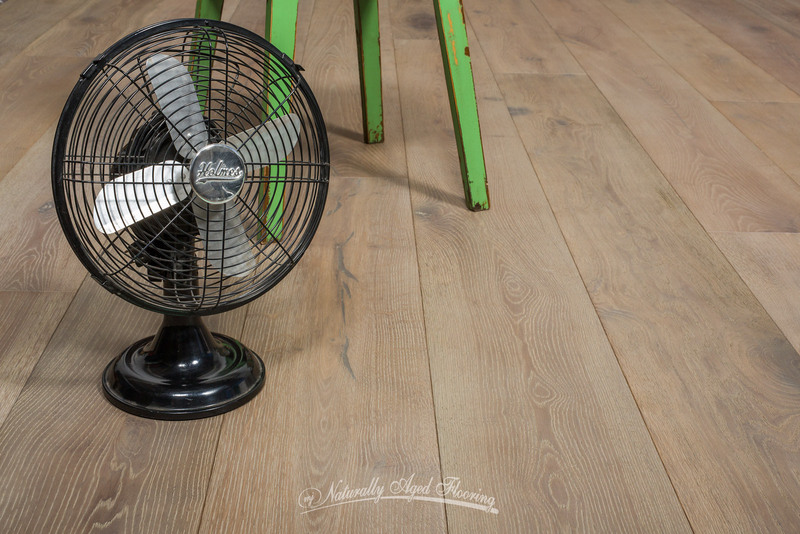 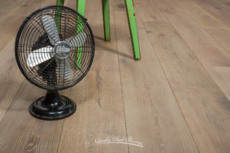 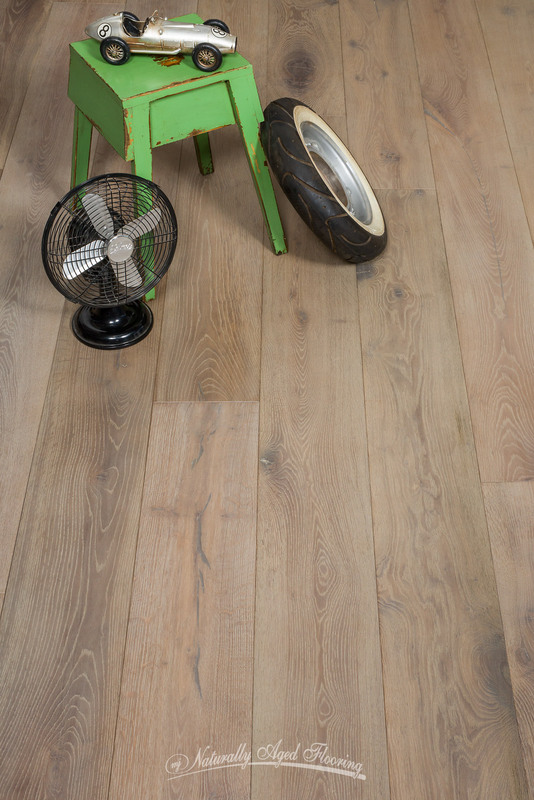 Earth tone stains set against a light misted grain and wider boards, intrinsic to all of Naturally Aged Flooring’s Premier Collection, show off your wood floor’s versatility while simply affirming why oak has long been the first choice in hardwood for most American homes. 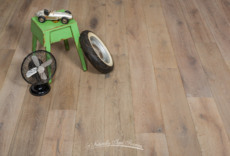 A thick 4mm wear layer over a multi-play birch core are only a few of the reasons that stand testimony as to what makes Naturally Aged Flooring a leader in the engineered wood flooring industry. 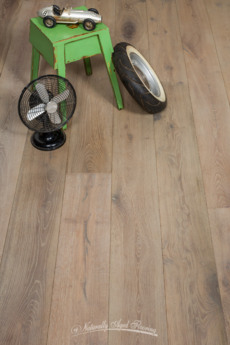 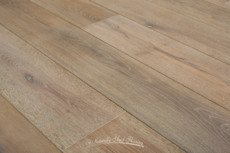 Topped off with a low sheen UV lacquer finish, Naturally Aged Flooring’s La Jolla is definitely here for the long haul. 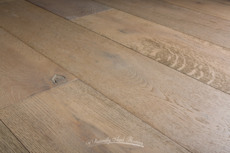 Like trailblazing the beguiling mesas of Southern California, Naturally Aged Flooring’s La Jolla will pique the pioneering spirit of the designer in you and provide comfort as you settle into a midday siesta in your stylish casa.